Float markets are an unique feature, a highlight of the Mekong delta. There are many different float markets such as Cai Rang, Cai Be, Chau Doc and Long Xuyen. Most of them are open in early morning when people go there to buy fruits and vegetables. Items are harvested from local orchads so they are very fresh. 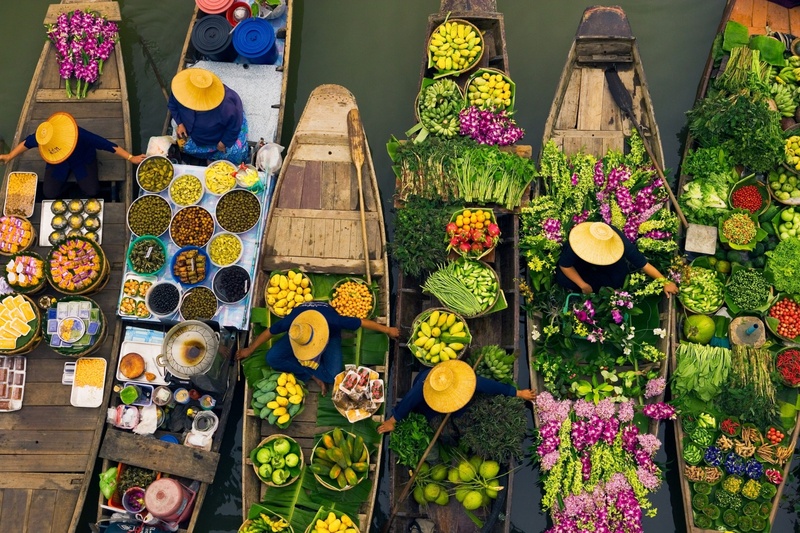 Various kinds of fruits with different colors create a stunning picture of trading in river. For those who are bored with shopping in supermarket, I bet that these float markets would give you a totally different experience. 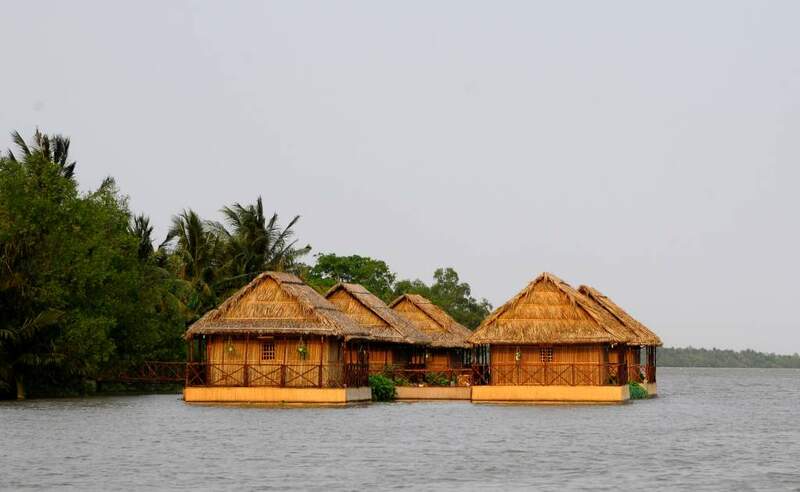 Floating houses can be found in many countries in Asia. In many ways, they are all varied and very fascinating. In Mekong delta, I recommend you to visit these houses once to get to know daily life of local people as well as the Southern culture. There is a floating village in Chau Doc that you should visit. You can ask villagers to stay there and see them cultivate fresh fish and shrimps in wire baskets and nets right under their houses. A relaxing river cruise is the best choice if you want to get the colorful life in the Mekong delta. 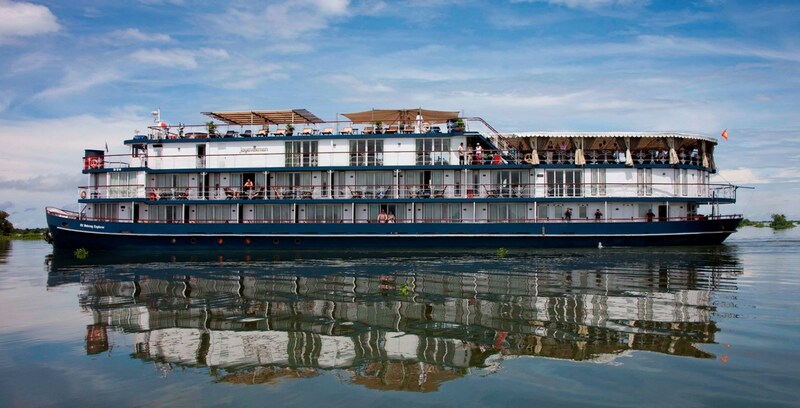 The classic and exclusive river cruise ships like Pandaw and Amalotus often run in 5 to 7 days, gliding on the main branches of the Mekong River, between Saigon and Phnom Penh. These ships mainly serve classic audience in a sophisticated ambience. If you want an individual tours, it is better to hire a smaller ships which offer tours between 2 and 5 days. 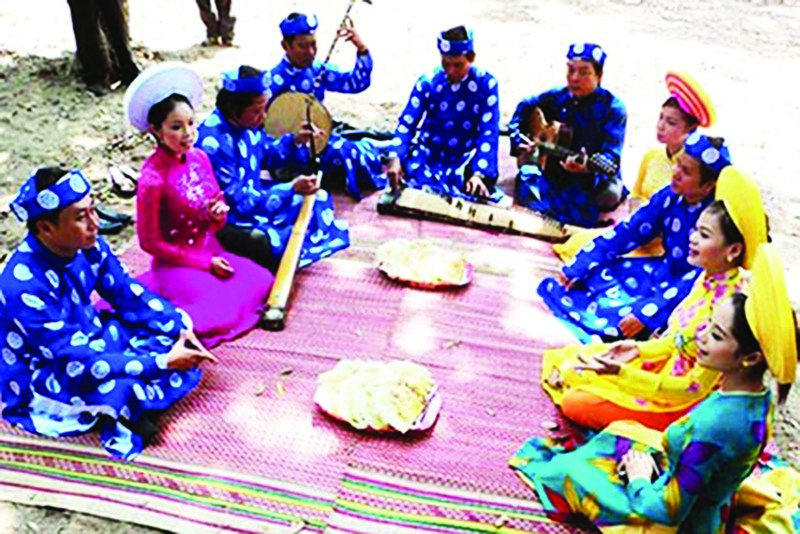 This is a kind of local musical art that flourished in the late 19th century in the Southern Vietnam and still remains as a traditional music. You can listen to Don Ca Tai Tu in many parts of Vietnam, but there is nowhere else better than in Mekong Delta. The music reflects the Mekong Delta people’s lifestyle and expresses their emotional feelings, as well as encourages them in hard days. With these activities and things to do I mentioned, I hope that you find it useful and select some of them for your trip. Wish you a nice trip and happy time in the Mekong River.